Hand-dyed in a gorgeous coral color with subtle variegation, inspired by the Pantone Color of the Year. 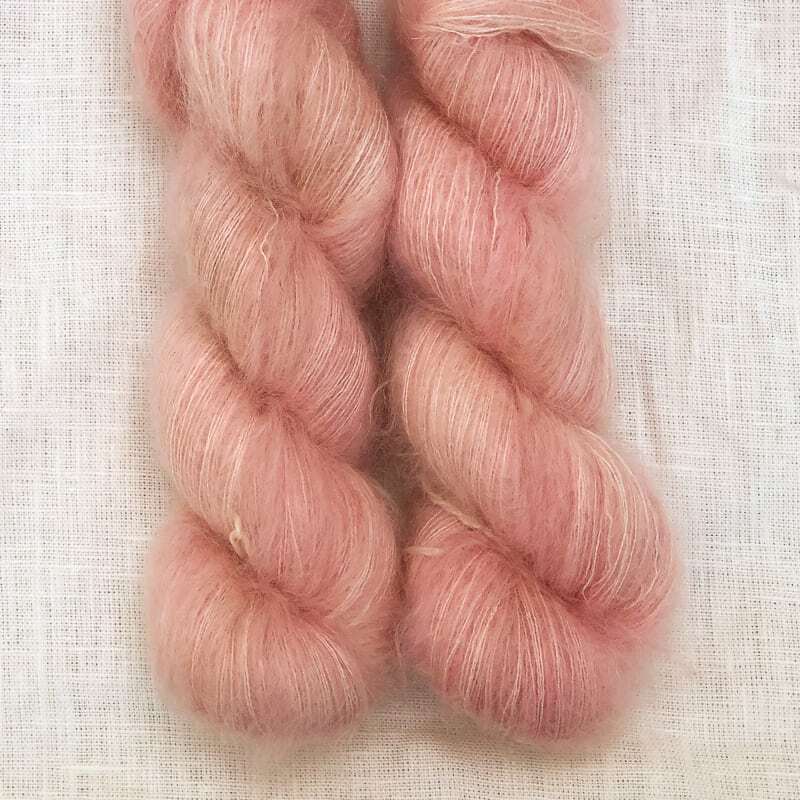 Faerie is a super fluffy and silky soft blend of 70% ultrafine kid mohair and 30% mulberry silk. The mohair takes up dye beautifully, resulting in vivid colors and the silk gives it a lovely sheen. 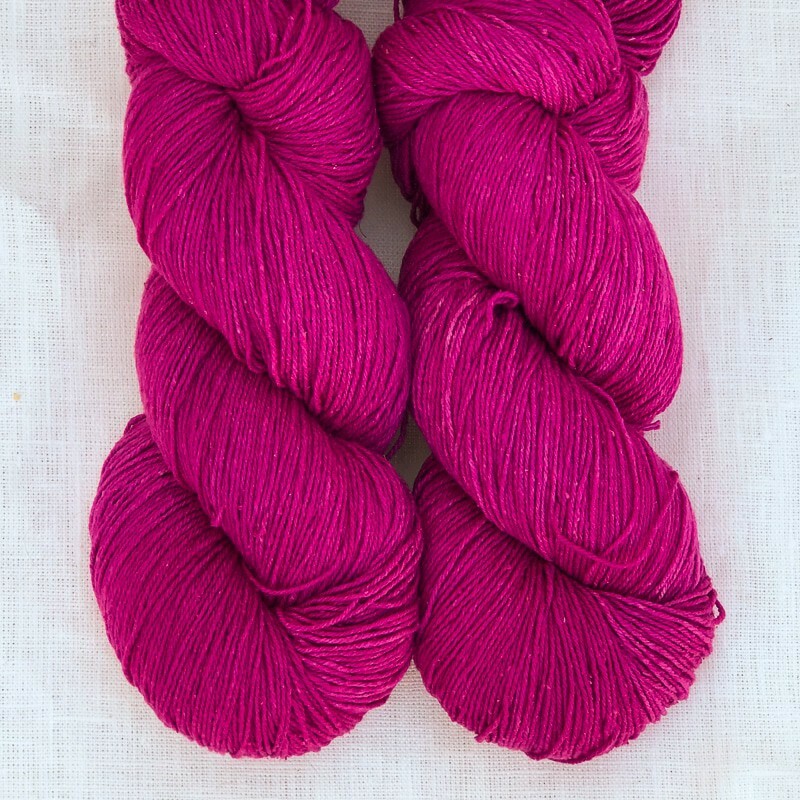 This lush lace weight yarn contains approximately 450 yards per 1.75 oz skein. Use big needles to produce a lofty fabric, and hold double with another of our yarns to create texture. Gauge is 8 sts/inch on US 3 needles.